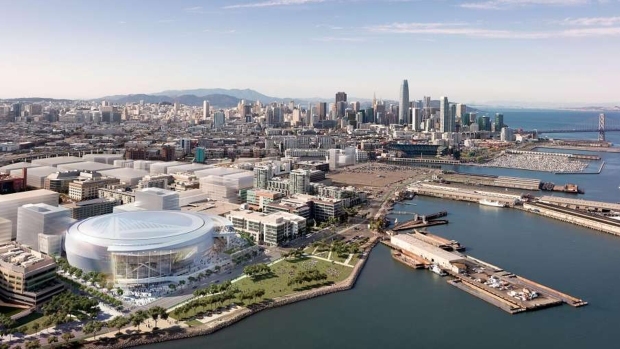 After a host of legal challenges and brouhaha over a new stadium, and the traffic it will likely bring to San Francisco, the Golden State Warriors broke ground Tuesday on the new Chase Center across the bay from the team's current home in Oakland. The team, along with GSW Arena LLC, held the ceremony at noon at 300 South St. in San Francisco's Mission Bay neighborhood. A lineup of sports stars, politicians and blue-robed gospel singers kicked off the event. Currently, the team plays at Oracle Arena in Oakland near the city's airport. Many in Oakland are fearful that tickets will be much more expensive in a new $1 billion stadium in San Francisco. Chase Center, which is scheduled to open for the start of the 2019-20 NBA season, will play host to a variety of events, including concerts, family shows and conventions, in addition to Warriors basketball, the team said in a statement. "We have been looking forward to this day since we first had the vision of building a privately financed state-of-the-art sports and entertainment complex in San Francisco are excited for what this will bring to the city of San Francisco and the entire Bay Area community," said Warriors President and Chief Operating Officer Rick Welts. 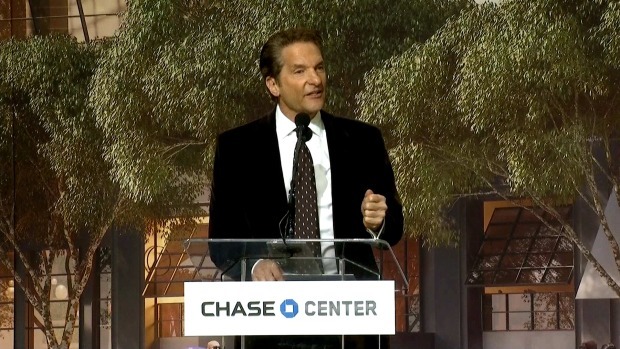 "Chase Center and the surrounding area will serve as a destination for the entire community and we will continue to work to make sure it is the best experience possible for everyone to enjoy NBA basketball, concerts, family shows, conventions and more." Warriors Owner & CEO Joe Lacob, Co-Owner Peter Guber, President and Chief Operating Officer Rick Welts, Head Coach Steve Kerr and Forward Kevin Durant will join San Francisco Mayor Edwin M. Lee for the historic ceremony and celebration. 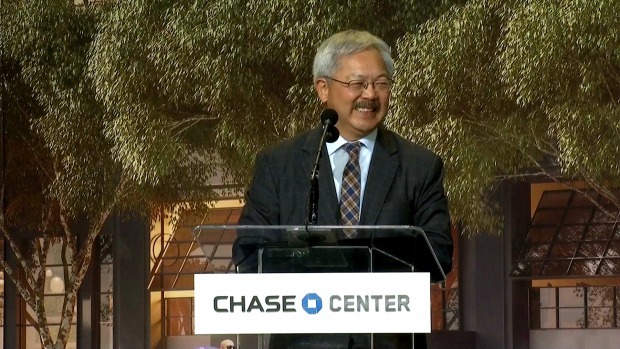 "This new venue will not only ensure our beloved Warriors remain in the Bay Area, but it will fill a void in San Francisco's portfolio of arts and events facilities," Lee said in a statement. "It will provide enormous economic benefits, including thousands of new jobs and millions in new tax revenues for The City. And the Warriors are doing it the right way - financing this arena entirely without public funding." The 18,000-seat Chase Center will anchor a district of 11 acres of restaurants, cafes, offices, public plazas and other amenities the neighborhood currently lacks, along with a new five-and-a half-acre public waterfront park. Chase Center will be located on a Muni Metro rail line. When complete, it will be the only privately financed facility of its kind built on private property in the modern era of professional sports, the team said. The general contractor for the Chase Center is Mortenson Clark, a hybrid of Mortenson Construction and Clark Construction. Outside the big tent for the groundbreaking, minority owned contracting companies voiced complaints regarding Mortenson Clark. Local contractor Charlie Walker said Clark Construction does not deliver, while sub contractor Art Douglas Blacksher said he was slow paid and stiffed by Clark for years while working on a Highland Hospital renovation. Welts said the Warriors would comply with the city's hiring requirements. The groundbreaking also follows years of arguing. A group called the Mission Bay Alliance, comprised of community members and professors, doctors and donors of the nearby UCSF campus, alleged the city didn't properly study the new stadium's impact on traffic and the environment. But in November, the California Courts of Appeal upheld the Warriors' environmental review. After the ruling, the grassroots group issued this statement: “The Mission Bay Alliance, Jennifer Wade, and SaveMuni are deeply disappointed with today’s court ruling. Our legal team is reviewing the ruling and considering options. We believe that the proposed Warriors’ arena is incompatible with the Mission Bay South neighborhood and would result in blocked access to UCSF hospitals, dangerous air pollution, and traffic gridlock throughout the community." Chase Center will be built on a vacant lot that has been slated for development since 1998. The team entered into an agreement to purchase the property at Third and 16th Streets in Mission Bay in 2014, and has spent two years participating in a public planning process, the team said. The project won approval from all regulatory agencies and city commissions, including a unanimous vote at the San Francisco Board of Supervisors. 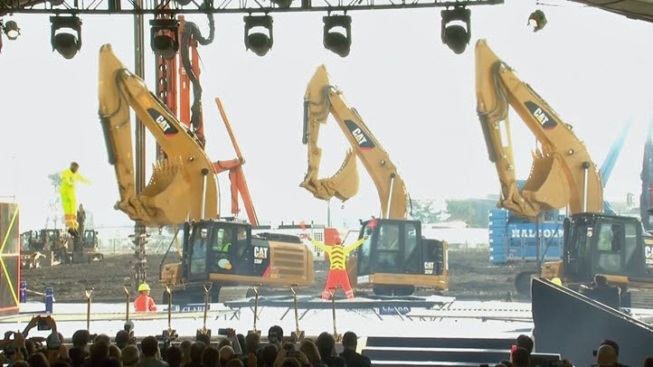 The Golden State Warriors groundbreaking for the Chase Center in San Francisco featured dancing excavators. 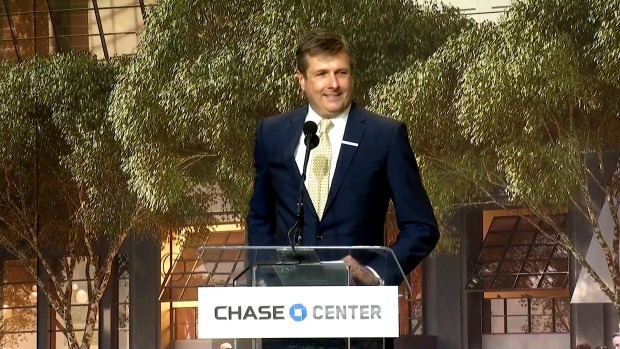 The president and COO of the Golden State Warriors, Rick Welts, speaks at the team's San Francisco stadium groundbreaking. San Francisco Mayor Ed Lee speaks at the Golden State Warriors' San Francisco stadium groundbreaking. 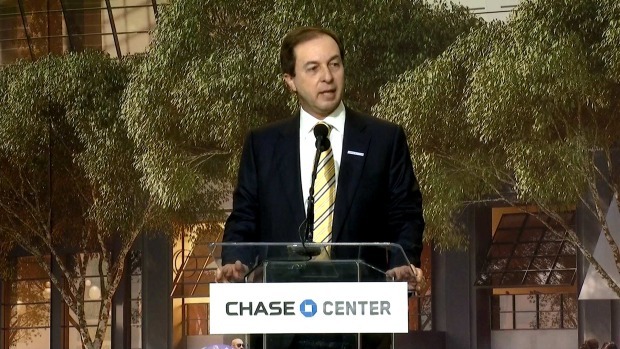 Joe Lacob, owner & CEO of the Golden State Warriors, speaks at the team's San Francisco stadium groundbreaking. 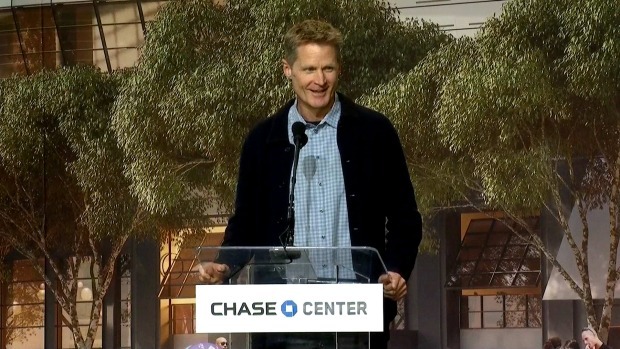 Golden State warriors head coach Steve Kerr speaks at the team's San Francisco stadium groundbreaking. 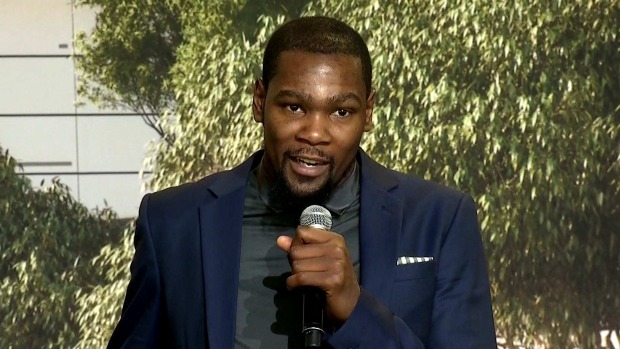 Golden State Warriors all-star forward, Kevin Durant, speaks at the team's San Francisco groundbreaking ceremony. Peter Guber, co-owner of the Golden State Warriors. speaks at the team's San Francisco stadium groundbreaking. 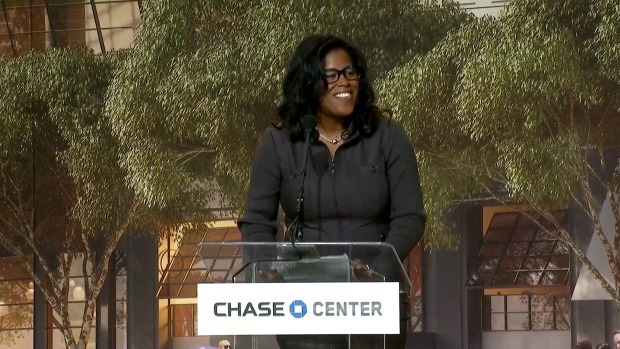 Thasunda Ducket, CEO of Chase Consumer Banking, speaks at the team's San Francisco stadium groundbreaking. Now that time is officially ticking on Oracle Arena… what happens to it when #Warriors leave? Footprint of Oracle Arena not nearly large enough for new A’s stadium… PLUS.. not the optimal location either. Howard Terminal is the spot.